No matter what type of event or venue you are in charge of, having the right audio equipment is always important. This is especially true when it comes to the PA system. Without reliable equipment, you will have no easy way to communicate with the entire audience at your event. This could prove disastrous, especially if there are hundreds, if not thousands, of people in attendance. Consider the following when trying to find a reliable PA system. 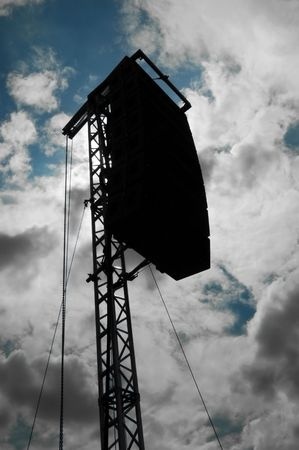 The most important factor that you need to take into account for a PA system is how much power is has. Without enough power, your system won’t have the capacity to broadcast loud, clear audio to everyone in attendance. The power you need isn’t only determine by how many people will be in the audience. You also have to take into consideration how large the venue is. If you are in a small or medium sized indoor area, you won’t need much power at all. On the other hand, wide open outdoor areas will need to be equipped with a very powerful PA system. Ideally, your PA system should also be visually appealing, or if it’s not it at least should be easily hidden. Whether you will be placing it within a podium, in a separate room, or anywhere else, there are several options to choose from. You don’t want a bulky PA system sitting out in the open, but it also needs to be easily accessible to anyone who needs to use it. Finally, consider whether or not you will need to expand your PA system in the future. With an expandable system, you will be able to add more speakers easily, which is ideal if you plan on hosting larger events. These are just a few of the many things to consider when trying to find the right PA system for your event venue.